Julie Peterson was born and raised in the Twin Cities. Having owned a cabin in the Hackensack area since 1999, Julie and her husband, Bruce made it their permanent home in 2008. Julie is very motivated, hard working, and some would say, tenacious. 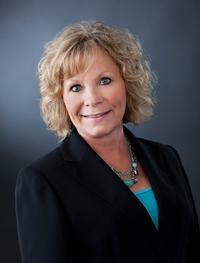 She has many combined years of experience in the housing industry, real estate, and as an agent. What Julie likes best about her job as a real estate agent is getting to be a part of one of the biggest and most exciting times in a person's life. She specializes in cabins and lake homes in the Walker, Hackensack, and Longville area, and whether you are buying or selling a property, Julie is dedicated to achieving your goal. When Julie isn't selling real estate, you will find her spending time with her family. Julie is also involved with the Hackensack Chamber of Commerce, and helps plan community events such as Back to Hack and Sweetheart Days. Julie loves the Hackensack/Walker/Longville area and enjoys helping others discover all that the area and surrounding lakes have to offer. Julie is committed to "Turning Dreams into Reality!"